The Mets are expected to assign hitting coach Lamar Johnson to another spot in the organization. The team experienced no differences offensively after the change from Dave Hudgens to Johnson on May 26th. The Mets are still adding candidates but at least two former Mets will be among the guys interviewed. 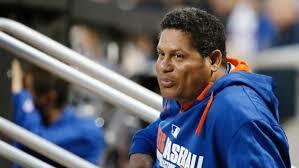 Bobby Abreu who retired last Sunday after a base hit with the Mets is emerging as a guy the Mets are very high on. Abreu wants to be a big league coach but said he wants to take care of some things in his home country Venezuela. Abreu has hinted that he would be more than interested in talking to the Mets about the job according to Mike Puma of the NY Post. Edgardo Alfonzo is also a candidate. Fonzie was working as a coach with Single-A Brooklyn this season after a 12-year career. Also Triple-A hitting coach George Greer, who was a candidate to replace Hudgens in May is a candidate. Hitting coach and possibly an assistant hitting coach are expected to be the only coaching changes on the Mets staff for next season. Got a question for Steven Inman on the upcoming series vs. the Padres or simply a state of the Mets question? Steven will be happy to answer it just leave any comments or questions in the comment section under this post. Great questions will be turned into future posts. • The Mets snapped a season high six game losing streak Tuesday. • The Brewers are a better team on the road (19-14) than the Mets are at home (14-17). But to be fair, the Metsies have won four of their last five home games. 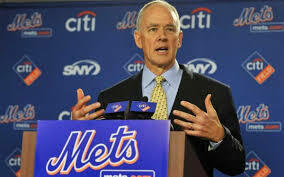 • Terry Collins was given a vote of confidence to remain manager of the team before Tuesday’s game by GM Sandy Alderson. • Wily Peralta has struggled recently. In his last two starts vs. the Cubs and Twins, the right-hander has gone 1-1 with an 8.44 ERA giving up 10 runs in 10.2 innings. • Peralta is having trouble putting batters away as high pitch counts have plagued the young right hander. He threw 105 and 101 pitches in his last two starts failing to get out of the sixth both times. • Peralta was doing a good job of keeping the ball in the ballpark but has now given up 3 long balls in his last two starts. He has now given up 10 on the year. • Over his last six starts Peralta is 1-4 with a 4.15 ERA. Opponents are hitting .297 off him during that stretch. • Peralta’s only career start against the Mets came back in September of 2012 when he threw eight scoreless innings in a 3-0 win at Miller Park. • Jacob deGrom is coming off his worst start as a big leaguer where he gave up four runs in five innings at Wrigley Field. • Carlos Gomez has now reached base in his last 25 games which leads the majors. During Gomez’s streak the centerfielder is hitting .347 (33-95 AB) with four homers and 16 RBI. He has a .421 OBP in that span. • Curtis Granderson has reached base in 22 straight games, second in the majors only to Gomez. (.273 BA, .402 OBP, 3 HR). Meh. • Murphy is hitting .406 (13-32 AB) with 2 HR in his last 8 games. • David Wright has been struggling badly. In his last 16 games the All-Star third basemen is hitting .159 (10-63 AB) with just 1 HR. • Ryan Braun has also been struggling over his last eight games, hitting just .176 (6-34 AB) with a .194 OBP and just 1 HR. 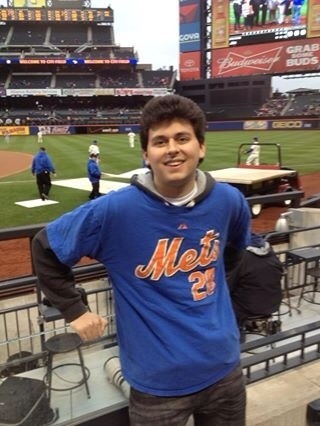 • The Mets have been looking for a guy to anchor the top of the lineup for years. Next guy to try it will be Ruben Tejada. The shortstop is hitting .341 (15-44 AB) with a .463 OBP and two homers over his last nine games. • Scooter Gennett moved into the leadoff spot Tuesday night, replacing Jean Segura, who slides down to eighth. Gennett has been getting on base at a better clip than Segura of late, thus necessitating the switch. Gennett went 1-3 AB, with a walk in the No. 1 spot. He is batting .327 (17-52 AB) over his last 16 games. • Former Mets closer Francisco Rodriguez last pitched on Sunday at Pittsburgh when he notched his 19th save of the season. • Prediction: Mets Tejada and Murphy get things going at the top of the order and deGrom gets his first big league win.